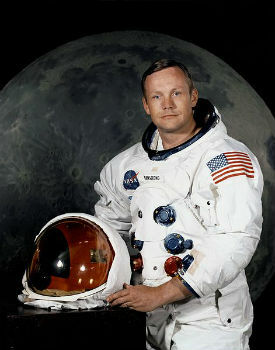 Neil Armstrong, the American astronaut who was the first person to take a step on our moon, passed away on August 25. He was 82 years old, and died because of health issues. He was born in Ohio, USA. He got his flight certificate even before he got his driver’s license! He studied to be an Aerospace Engineer, and went on to become an astronaut for NASA, the American space agency. He was the commander of Apollo 11, the spaceflight which took Neil Armstrong to the moon. 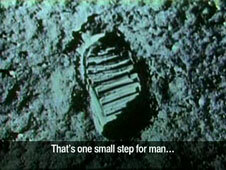 He took the first step on our moon on July 20, 1969, and when he did, he said the famous words “That’s one small step for man, one giant leap for mankind.” Here is a video of his landing on the moon.